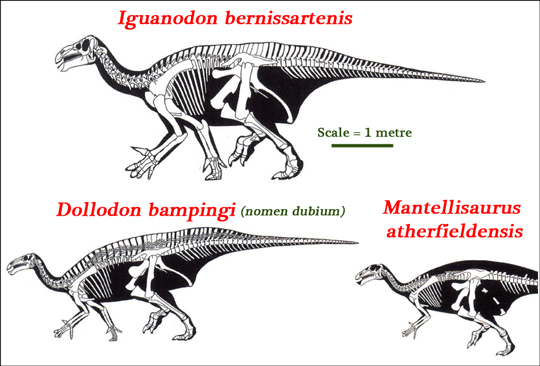 Suchomimus (S. tenerensis) fossils were first found in 1973, but at the time, little was known about spinosaurids. Recent reviews of the fossil material have placed this dinosaur from the Early Cretaceous of Niger within the Spinosauridae, specifically assigned to the Baryonychidae. Some studies (2002), concluded that the fossil material represented a second species of Baryonyx and proposed the name Baryonyx tenerensis. Subsequent research established a number of autapomorphies (distinctive features), between the fossils assigned to Baryonyx and Suchomimus, enabling the two genera to be retained. Suchomimus was probably very closely related to Baryonyx walkeri. A scale drawing of the Theropod Suchomimus. The hosting rock has been dated to the Late Aptian faunal stage, suggesting that Suchomimus lived many millions of years after Baryonyx. Like Baryonyx, the first fossil material found was an enlarged thumb claw. The holotype fossil material of Suchomimus is much bigger than the holotype fossil material of Baryonyx (B. walkeri). However, as the ages of the individual dinosaurs are not known, direct size comparisons are not relevant. Based on the Suchomimus material (and that previously assigned to Cristatusaurus lapparenti), Suchomimus could have exceeded eleven metres in length and weighed as much as four tonnes. Suchomimus translates as “crocodile mimic”, a reference to the long, crocodile-like snout, lined with conical teeth adapted for grasping slippery prey such as fish. Everything Dinosaur has added a new range of dinosaur themed greetings cards to the company’s ever-growing prehistoric animal portfolio. The dinosaur cards feature a pop-up dinosaur inside and there are three exciting designs to choose from. Firstly, we have a delightful Diplodocus, then there is the spiky Stegosaurus and for fans of meat-eating dinosaurs, naturally, the range also includes a terrific Tyrannosaurus rex greetings card. Diplodocus features on this dinosaur card. Lots of children love dinosaurs and ask for dinosaurs for birthday presents. Fortunately, for mums, dads, grandparents and other relatives of eager, young palaeontologists, Everything Dinosaur has a range of prehistoric animal themed greetings cards to help make birthdays complete. Each of these new cards features a pop-up dinosaur inside. Stegosaurus pop-up card – ideal for birthdays! To view the range of dinosaur themed greetings cards and dinosaur party items available from Everything Dinosaur: Dinosaur Party Gifts and Greetings Cards Everything Dinosaur certainly has everything covered when it comes to dinosaur birthday parties and other prehistoric animal themed occasions, all backed up by our super, fast delivery and top-notch customer service. Tyrannosaurus rex features on this dinosaur card. At Everything Dinosaur, barely a day goes by without some new product being approved by our testing team and getting put up on-line at Everything Dinosaur the pop-up dinosaur cards are blank inside so that you can add your own personal message. They are already proving to be very popular amongst parents of dinosaur fans. With so many dinosaur models and toys being sold, it was only a matter of time before we had to extend our dinosaur greetings card range to keep up with the demand. Stegosaurus on the front cover of this dinosaur card. T. rex pop-up card, complete with dinosaur skeleton. These distinctive dinosaur themed greetings cards are even supplied with their own envelope so sending birthday wishes or marking some other event in the lives of young palaeontologists is made even easier. Everything Dinosaur receives hundreds of letters, emails, dinosaur drawings and pictures of dinosaur models, more dinosaur themed cards have been requested and we are happy to help out. We know that dinosaur fans will be roaring with excitement when they receive a special prehistoric animal themed greetings card, such as these dinosaur pop-up cards. Trouble is, we can’t make up our minds as to which is our favourite! The iguanodontids were one of the most successful groups of Ornithischian dinosaurs to evolve. These herbivores with their batteries of teeth and the ability to chew their food attained a near global distribution by the late Early Cretaceous. However, despite numerous body fossils representing several genera being found in Upper Jurassic and Lower Cretaceous strata of the western United States, their fossilised remains have never been recorded from western Canada. Palaeontologists have suspected that iguanodontids were present in western Canada but the fossil evidence was lacking – until now that is. Analysis of a single dinosaur footprint suggests that these plant-eating dinosaurs were roaming south-western Alberta during the Early Cretaceous, the footprint, if interpreted correctly, helps to fill a gap in western Canada’s dinosaur fossil record. A natural cast of a dinosaur footprint identified as iguanodontid. The picture shows the fossilised dinosaur footprint, preserved as a natural cast on the underside of a sandstone ledge from a site in south-western Alberta. For Dr Donald Henderson (Curator of Dinosaurs, at the Royal Tyrrell Museum), this single track has enough similarities to iguanodontid tracks found elsewhere in the world, to conclude that this print does indicate, that as expected, these types of dinosaur were living in the Early Cretaceous of western Canada. Writing in the journal “Cretaceous Research”, Dr Henderson cites this fossil as the first evidence of iguanodontids in Alberta and asserts that this fossil is helping to clarify the distribution of iguanodontian dinosaurs. The Iguanodontia is a clade of Ornithopod dinosaurs that evolved in the Late Jurassic, diversified into many different families and had an almost global distribution. They thrived in the Early Cretaceous and some genera survived until the end of the Cretaceous. Within the Iguanodontia there are several sub-clades. For example, the Ankylopollexia “stiff thumbs”, a clade of iguanodontians which are considered to be more derived than other members of the Iguanodontia and they are united by a common feature, that of having a conical thumb claw. Members of the Ankylopollexia include Camptosaurus from the Upper Jurassic of the western United States and the Iguanodon genera including Iguanodon bernissartensis from the Early Cretaceous of Europe. Most large iguanodontids were facultative bipeds and they produced characteristic tracks, with substantial, tri-dactyl hind footprints, with blunt tips to the toes (see illustration below). Line drawing of the hind footprint of a large Ornithopod (iguanodontid). The Ankylopollexia can be further sub-divided into the Camptosaurs and the Styracosterna, which contains the hadrosaurids (duck-billed dinosaurs), that went onto dominate many terrestrial habitats in the Late Cretaceous. Dr Henderson compared the track with numerous iguanodontid specimens and concluded that this footprint was most likely made by an iguanodontid. The fossilised footprint comes from the Gladstone Formation (south-western Alberta), and the host rock is dated to the Early Cretaceous (Barremian faunal stage), a time when these types of dinosaurs were evolving rapidly and diversifying. Comparing the Gladstone Formation track and identifying it as iguanodontid. This is an exciting development, as it helps to fill in a gap in Alberta’s dinosaur fossil record. Dr Henderson suggests that the lack of iguanodontid fossil material might be because older rock layers are found in areas which are in relatively inaccessible, remote locations, that are heavily forested and often deeply buried under younger rocks. The Royal Tyrrell Museum staff member believes that other iguanodontid fossil material including body fossils are likely to found in future. The scientific paper: “The First Evidence of Iguanodontids (Dinosauria, Ornithischia) in Alberta, Canada: A Fossil Footprint from the Early Cretaceous” published in April 2017 in the journal “Cretaceous Research”. 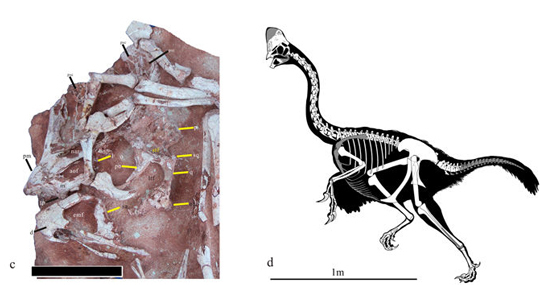 Yet another new species of oviraptorid has been named from fossils found in Ganzhou, Jiangxi Province (southern China). This new dinosaur, which was probably feathered, had a longer neck than its oviraptorid contemporaries making it resemble an ostrich. It also possessed a crest on top of its skull, called a casque, which was very similar to that seen in the extant, Australian flightless bird, the Cassowary. This could be a case of convergent evolution between a dinosaur and a non-avian dinosaur. This new dinosaur has been named Corythoraptor jacobsi, the genus name translates as “helmet speedy thief”, whilst the trivial name honours Professor Louis L. Jacobs of the Southern Methodist University, (Dallas, Texas, USA), who acted as a mentor to three of the authors of the scientific paper, published in the journal “Scientific Reports”. The naming of Corythoraptor brings the total of Late Cretaceous oviraptorids known from this part of China to seven. All seven oviraptorids come from the Nanxiong Formation which relates to the Late Campanian/Early Maastrichtian faunal stages of the Late Cretaceous, around 73 – 71 million years ago. Palaeontologists are uncertain as to why this part of China seems to have been a “hot spot” for Oviraptorosaurs, the palaeoenvironment might have favoured these cursorial Theropods, which are believed to have been omnivorous, or this type of dinosaur may simply be under represented in other Upper Cretaceous deposits elsewhere in the world. Intriguingly, of the seven oviraptorid dinosaurs named to date some are known to have been crested and different shaped crests have been identified. All these dinosaurs are approximately the same size, around two metres in length and all of them were probably feathered. The long neck (twice as long as the dorsal vertebral column), of Corythoraptor might have evolved to permit this dinosaur to exploit a food source that its contemporaries could not, in the same way that many modern-day antelopes on the African savannah have different neck lengths to help them browse on different plants – an example of niche partitioning. The cranial casque of Corythoraptor. Fossil material (a), line drawing (b) and colour restoration (c). Banji long (named and described in 2010) small, flat crest. Ganzhousaurus nankangensis (named and described in 2013) with a potentially, slightly raised crest. Jiangxisaurus ganzhouensis (named and described in 2013) potentially crested – small crest. Nankangia jiangxiensis (named and described in 2013) insufficient fossil material to establish a crest being present. Huanansaurus ganzhouensis (named and described in 2015), potentially crested (top part of the skull is missing, but in a phylogenetic analysis carried out by the authors, Huanansaurus was found to be the sister taxon to the newly described Corythoraptor jacobsi. H. ganzhouensis skull material is insufficient to conclusively prove the presence of a crest although the thickened naris and parietal indicate that a crest is likely. Tongtianlong limosus (named and described in 2016), it possessed a small crest. A close up of the skull, jaws and the head crest of Corythoraptor with a line drawing showing body plan. The picture above shows a close-up of the skull, crest and jaws of the holotype material, accompanied by a line drawing showing the estimated size and Corythoraptor and what it probably looked like. The scale bar in (c) is 8 centimetres and the scale bar in (d) is 1 metre. Note that the shape of the crest is inferred, as the actual portion of the skull that represents the majority of the proposed crest is not present, only the lower portion of the bony core of the casque (crest) is preserved. The preserved portion of the nasals exhibits highly pneumatised bone structure. The suture between the parietal and frontal is not clear, but it seems the bones project dorsally and formed a distinct crest together with the nasals, very reminiscent of the crest shape seen in living, non-avian dinosaurs, the Cassowaries. What were the Crests (Casques) used for? Lead author of the study, Junchang Lü (Chinese Academy of Geological Sciences), proposes studying the living Cassowary to help shed light on the functional role played by the casque. This could represent an example of convergent evolution, where a similar physical character has evolved independently in two, unrelated species. A study of the fossilised bones suggest that this specimen represents an immature individual, a sub-adult Corythoraptor that may have been around eight years of age when it met its demise. The casque may not have been fully formed when it died, but its function remains a mystery. However, such a prominent casque could have served a multitude of purposes, just like the crest of the Cassowary. With lots of different oviraptorids living in the same habitat, the crest could have played a role in species recognition (interspecific recognition). The crest could have been used in visual communication, in displays to determine social hierarchy or perhaps in ritualised displays over mate selection (intraspecific combat). Crest shape could have indicated maturity, with crest shape changing as the animal became older. The crest (or casque) could have indicated fitness for breeding during the mating season. This structure could have played a role in helping to differentiate between males and females (sexual dimorphism). The crest (or casque) shape in oviraptorids could represent the evolution of character as part of sexual selection. Readers in the UK, have the opportunity to get up close to a number of Chinese feathered dinosaurs including a specimen of Oviraptor (O. philoceratops) and a giant relation of the oviraptorids, the giraffe-sized Gigantoraptor, at the Dinosaurs of China exhibition in Nottingham. 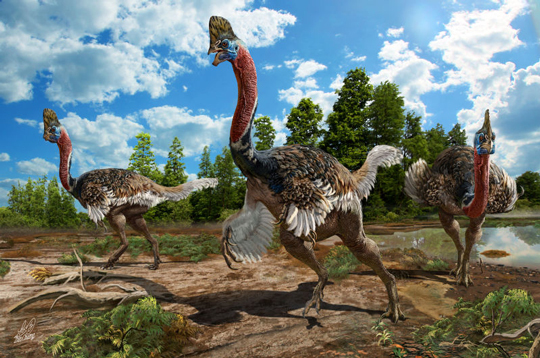 In addition, the superb illustrations found throughout this exhibition and seen at the nearby Nottingham Lakeside Arts Centre, were created by Zhao Chuang, who was responsible for illustrating Corythoraptor in the scientific paper (illustration is seen at the top of this article). A great way to keep up to date with all the developments at Everything Dinosaur is to subscribe to the company’s newsletter. 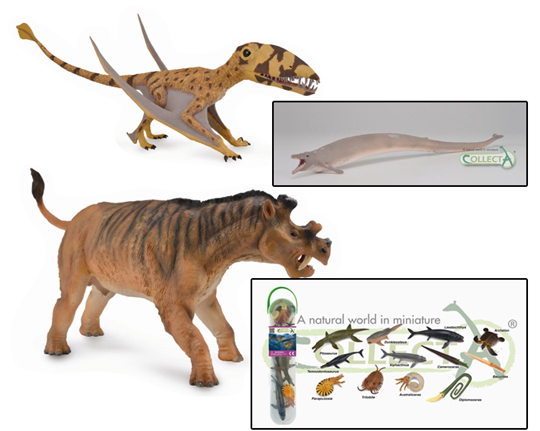 The July issue introduced new CollectA models as well as the latest Schleich “Conquering the Earth” dinosaurs. 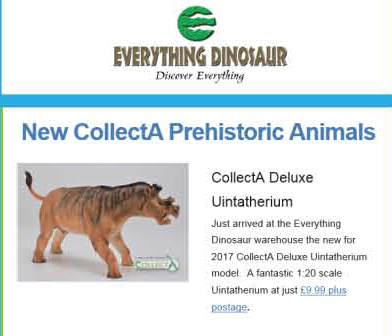 The new CollectA Deluxe 1:20 scale Uintatherium is one of the most eagerly anticipated, new for 2017 replicas and stocks of this Eocene mammal replica are now in Everything Dinosaur’s warehouse, but thanks to our company newsletter, supplies are already beginning to run low, such has been the demand for this model. Hot on the hooves of the Uintatherium, comes the CollectA Supreme Deluxe Dimorphodon model. This is bound to prove to be popular amongst fans of flying reptiles and this huge model will make a terrific centrepiece to any model collection. CollectA Supreme Deluxe Dimorphodon model. There are opportunities to subscribe to the Everything Dinosaur newsletter when placing an order with us, but guests and other visitors to the Everything Dinosaur website can subscribe by travelling down the home page and filling in the simple form on the bottom right of the screen. Scroll down the Everything Dinosaur home page to find the subscription area. Our latest newsletter also featured a number of new Schleich dinosaurs including the Carnotaurus, Velociraptor, Acrocanthosaurus and T. rex. All these new Schleich models have articulated lower jaws and they are ideal for robust, creative play. New for 2017 Schleich dinosaurs. Fans of herbivorous dinosaurs were not neglected, we made sure to include some further information and links about the new Schleich Kentrosaurus model (seen above, pictured on the left). Also, newly arrived are the CollectA Basilosaurus model and the set of mini prehistoric marine animals. Fans of prehistoric whales finally have a Basilosaurus within the CollectA range. CollectA Basilosaurus and mini prehistoric marine animals set. The nautical theme continues with the introduction of the CollectA mini prehistoric marine animals, a set of twelve replicas representing some of the amazing marine fauna that once existed in the seas and oceans of our planet. What fantastic news for model makers and fans of prehistoric dioramas. For example, a trilobite can be added to a marine model scene that features Dunkleosteus, or Mosasaurus can be chasing ammonites in a Cretaceous model diorama! Travel back in time far enough and the distinction between what is a plant and what is an animal becomes blurred. For a palaeontologist, unravelling the mysteries of the origins of multi-cellular life is daunting. Firstly, when examining the few fossils of multi-cellular organisms known from rocks laid down in the Proterozoic Eon, what strikes you is the paucity of the fossil record, in essence there is very little fossil evidence to study. Secondly, some of the lifeforms represented are so bizarre that there is nothing alive today that can begin to provide scientists with any hints as to structure, form, lifestyle or behaviour. However, an international team of scientists, writing in the journal of “Precambian Research”, have conducted a remarkable assessment on three-dimensionally preserved Ediacaran fossils and they have shed light on the evolution of complex life. The organism in question is Rangea, a bizarre fern-like animal/plant/? that did not possess bilateral symmetry like us, or indeed radial symmetry like starfish and sea urchins, but a fractal structure, like nothing alive today. The fossil (a), an external scan (b) and an internal scan (c) of the Ediacaran organism Rangea. The picture above shows the fossil (a), a computer-generated model of the external structure (b) and a computer-generated model of the internal structure of Rangea (c). At Everything Dinosaur, we suspect that the fossil specimens come from rocks laid down in shallow, marine sediments that make up the Nama Group in southern Namibia. Rangea is known from this location and has also been reported from other Ediacaran-aged sites in Australia and Russia. The Namibian material is remarkable as the fossils are typically moulds and casts of the fern-like structures, preserved in ironstone nodules, which despite representing lifeforms that existed somewhere between 540 and 580 million years ago, have not been squished and deformed to a huge extent as a result of the fossilisation process and the enormous time these fossils have existed in the strata. 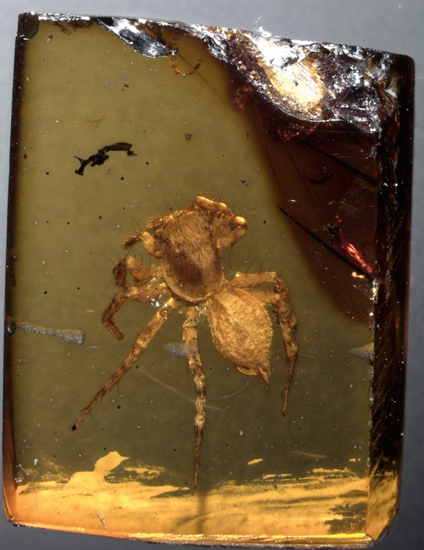 The scientists used high resolution X-ray micro-computed tomography (microCT) to investigate the 3-D internal morphology of these exceptional fossils. This is the first non-destructive internal imaging of Rangea. 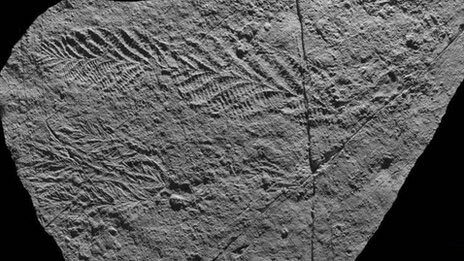 Ranging from a few centimetres to tens of centimetres in length, the soft-bodied Rangeomorphs (a natural taxon, established to help classify these frond-like, fractal organisms), are perhaps best known to fossil fans in the UK as organisms similar in structure to Charnia, named and described from a single fossil specimen found in Charnwood Forest, Leicestershire by a school boy in 1957. Ancient Precambrian fossils – Charnia. Lead author of the study, Dr Alana Sharp (School of Science and Technology, University of New England, New South Wales, Australia) and her colleagues think that all six fronds may have been inflated like long balloons, they may have touched each other creating a large surface area for the passive absorption of nutrients which sustained the organism. It had been thought that these fronds, regarded as some form of feeding structure, were flat. The CT scans also revealed something else about Rangea. It had a cone-shaped channel running vertically up its central trunk. The lower part of this channel seems to have been filled with sediment that has a different composition from that seen in the rest of the fossil. The researchers have concluded that this was probably present in the organism when it was alive, helping to prevent it from buckling or being compressed. The sediment acted like internal scaffolding for Rangea, a sort of primitive skeleton. These findings support the idea that Rangea was benthic (lived on the sea floor) and that it was probably sessile (attached to the sea floor and immobile). Despite these remarkable computer-generated images, one big mystery remains, as Dr Sharp explains. The Scientific Paper: “First non-destructive Internal Imaging of Rangea, an Icon of Complex Ediacaran Life” by Alana C. Sharp, Alistair R. Evans, Siobhan A. Wilson and Patricia Vickers-Rich, published in the journal “Precambrian Research”. The final batch of new for 2017, CollectA prehistoric animal models has arrived and what a splendid collection they are! CollectA had introduced their new dinosaurs earlier in the year, so this final set of 2017 models does not contain any “terrible lizards”, just a group of well-crafted models that are going to delight collectors. The latest CollectA models (2017). It is great to see CollectA introducing another replica of a large Pterosaur into their “Deluxe” range. The Dimorphodon will sit proudly next to the Guidraco figure, a model that was introduced back in 2015, to much acclaim. Everything Dinosaur team members have been in discussion with leading expert on the Pterosauria Mark Witton recently, like Mark, we think that this Early Jurassic flying reptile may well have lived in an arboreal environment and not on the coast as depicted in many illustrations. The team at CollectA, think this was the case also, as they chose to illustrate their new CollectA Dimorphodon in a terrestrial setting. The CollectA 2017 catalogue features the Dimorphodon model on the front. The CollectA Deluxe Uintatherium model is one of our favourite replicas to be released this year. We have followed the development of this prehistoric mammal figure very closely. Although, Uintatherium was one of the largest land animals of the Eocene Epoch and is well represented in the fossil record of North America, very few replicas of Uintatheres have been produced. Measuring a fraction under nineteen centimetres long, this is an excellent 1:20 scale model of “Uintah Beast”. Fans of the “Walking with Beasts” television series have waited a long time for a model of the giant, toothed whale Basilosaurus and CollectA have certainly delivered with this thirty-six-centimetre long model, complete with colonies of barnacles on its skin. Although this model is much bigger than many of the replicas in the CollectA Deluxe scale model series, it is not actually part of that model range. The size of the model, merely reflecting the actual size of this early whale. Males may have reached lengths in excess of eighteen metres (females were slightly smaller), based on these measurements, we estimate that the CollectA Basilosaurus is around 1:50 scale. 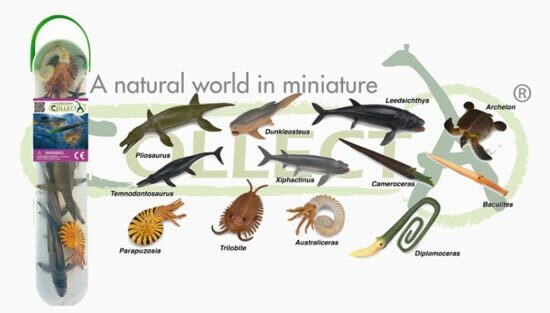 Model makers and diorama builders are in for a real treat with the addition of the set of mini prehistoric marine animals from CollectA. The set of twelve figures, ranging from a trilobite, ammonites, prehistoric fish and marine reptiles, are ideal for use in prehistoric landscapes, adding variety and colour to any marine diorama. Our personal favourite is the replica of the Late Cretaceous sea turtle Archelon, but look out also for the Leedsichthys and the Xiphactinus. Plans are well advanced for the 2018 models and in the autumn, Everything Dinosaur will publish news about the next set of prehistoric animal models, but for the meantime, let’s enjoy the arrival of this, the last batch of new for 2017 CollectA replicas. Everything Dinosaur has received media reports from several Chinese news agencies reporting the discovery of extensive dinosaur tracks in Guizhou Province (south-western China). A total of sixty-eight tracks have been identified from sediments exposed in a river valley close to Tongmin Town. The largest of the prints is estimated to be nearly fifty centimetres long. Yesterday, a field team consisting of palaeontologists from the China University of Geosciences and Guizhou Provincial Museum arrived at the site to map the tracks and to conduct a full survey of the trace fossils. In a press statement, Assistant Professor Xing Lida, (China University of Geosciences, Beijing), commented that three types of trace fossil (ichnofossils) had been recorded, suggesting that the tracks were made by three different types of dinosaur. A preliminary assessment suggest that one type of track was made by a plant-eating Ornithopod, whilst the other two tracks were made by Theropod dinosaurs. One of the Theropod tracks identified by Chinese scientists. The photograph above shows one of the Theropod footprints. The researchers have highlighted the track and indicated the toes along with the claw impressions. The tracks were made in the soft mud surrounding a lake (a potential lacustrine environment), although it is not possible to tell exactly when the impressions were made in terms of which dinosaurs passed by and when, the tracks are helping Chinese researchers to better understand the dinosaur fauna of this part of the world some 100 million years ago (Cenomanian faunal stage of the Late Cretaceous). An in-depth analysis of the tracks is to be undertaken. The research team are confident that they will be able to measure the stride length and calculate the velocity of the dinosaurs (estimation of walking speed). In 2016, Chinese media reported the discovery of a series of dinosaur tracks at a location approximately 120 miles to the south-west of the Tongmin Town site (Bijie). These tracks, represent four individual dinosaurs and the strata that they were formed in, now part of a cliff, is also around 100 million years old. These tracks were made as dinosaurs traversed the soft, sticky mud adjacent to a lake (another potential lacustrine environment). It is hoped that data from these two locations, representing contemporaneous fauna will help scientists to gain a better understanding of which types of dinosaurs lived in southern China during the early Late Cretaceous. 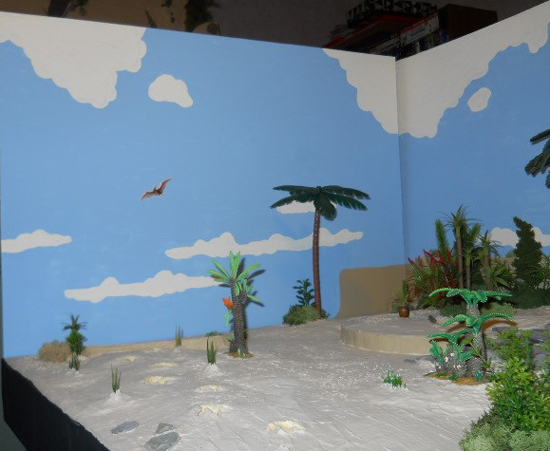 Talented model maker and dinosaur model enthusiast Robert Townsend has completed the backgrounds to his huge prehistoric animal diorama that he has been building. The project entitled “Jurassic Park III”, has been meticulously planned and Robert’s care and attention to detail is reflected in the skilfully painted backdrop that he has created. The beautifully painted backdrop to a prehistoric landscape. The background boards are constructed of stiff, but very lightweight foam and have been painted sky blue with various cloud shapes. The use of longer, thinner cloud shapes in the centre of the diorama and at a lower height, helps to draw the viewer into the prehistoric landscape and assists in giving the backdrop a sense of perspective. Choice of materials for a backdrop of this nature can be tricky, for example, wooden panels can be used but they can add considerable weight to the model and there can be problems securing them to base. The foam boards would have been easier to fix into place, but painting them proved to be more difficult than anticipated. Some flying reptile stickers, given to Robert by Everything Dinosaur, were utilised in the background making process, providing points of interest within the sky. Robert wants to hang some flying reptile models within the diorama and asked our team members for advice on how best to go about this. We find that fishing line is very useful for this purpose. Very fine lines of less than one- pound breaking strain can be purchased from most tackle shops, or if you have a friend that enjoys angling, they are usually happy to donate a metre or two of line for this purpose. Fishing line tends to be stronger than cotton, it is easier to tie and is less conspicuous. Sadly, even the most carefully tied, finest threads will show, however, their presence can be mitigated by a careful selection of photo angle to minimise any intrusion and the relatively simple, blue background would make any lines quite easy to photoshop out of any pictures. Thankfully, model making companies such as CollectA and Papo have recently introduced excellent Pterosaur models in terrestrial poses, after all, even the most capable flyers would spend a proportion of their time on the ground. Diorama is ready to be populated by prehistoric animals. The size of the prehistoric landscape gives Robert plenty of options when it comes to depicting prehistoric animals. He intends to create a series of mini-scenes within the landscape, with the animals indulging in a number of different behaviours such as herding, nesting, hunting, fighting, drinking at the water hole and feeding. We look forward to seeing Robert’s “Jurassic Park III” complete with its prehistoric animal residents.